Get notified when Terry Fator tickets are available! Born in June of 1965, Terry Wayne Fator is an impressionist, ventriloquist, singer and comedian from Dallas, Texas. 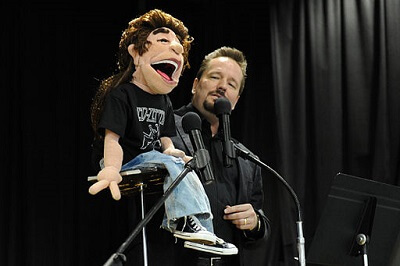 Terry Fator uses up to 15 different puppets in his ventriloquial impersonation acts. Terry Fator became the winner of season two of “America’s Got Talent,” earning a million dollar prize, and the following year, he was put on as the headlining act at the Mirage Hotel and Casino in Las Vegas, Nevada. If you love ventriloquism and want to see it at its best, get your Terry Fator tickets above and be in the crowd at his next show.